Whether you’re relocating to begin a new job or to spend your golden years at the “Waterfront Wonderland,” moving from New Jersey to Cape Coral is a serious task. Rather than stress yourself out over the many planning and transportation details, leave your long-distance relocation to the professionals of Simonik Moving & Storage! We’ve been providing professional moving services since 1977, and our ongoing BBB accreditation reflects our commitment to absolutely exceptional customer service and professional expertise. 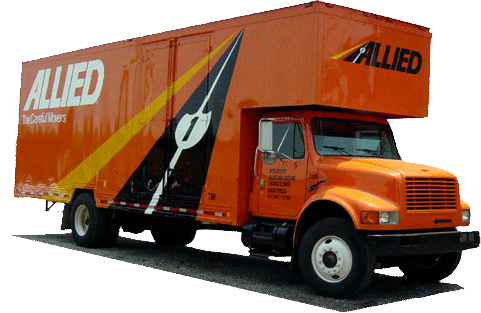 Plus, because we’re an award-winning agent for Allied Van Lines, you can rest assured that no moving project is too challenging for us to handle! With the help of our nationwide moving and storage partners, we can move your household anywhere in the entire country. When you need a hassle-free experience while moving to Cape Coral from New Jersey, you need the expertise and care of Simonik, a company that’s prepared to handle all of your relocation requirements, regardless of size or scope. Beginning with a free in-home moving estimate, we’ll tailor our many service offerings to suit your unique preferences. And to ensure that every step of your move goes exactly as planned, we’ll also pair you with a skilled Relocation Coordinator! This experienced moving professional will be here to answer your questions and guide you through the moving process from door to door. At Simonik, we care about your satisfaction throughout the moving process and are here to help you long after the boxes have been packed and transported. If you realize that you’d like more time before completely finishing your New Jersey to Cape Coral move, we’d be happy to utilize our storage capabilities to give you the breathing room you need! Just let us know that you want additional time, and we’ll pack your valuable belongings into protective long-distance shipping containers and store them at our heavily secured warehouses. Since we offer both short- and long-term storage, you’ll be free to take all the time you need! Across North and Central Jersey—including Hunterdon, Mercer, Middlesex, Monmouth, Morris, and Somerset counties—Simonik is proud to be the moving and storage provider of choice. We’re not only a past recipient of the “Mover of the Year” Award from the New Jersey Warehousemen & Movers Association, but we’re also a ProMover member of the American Moving and Storage Association. Both of these affiliations keep us apprised of critical moving requirements and technological advances, making your NJ to Cape Coral move completely hassle-free! To find out more about our many NJ to Cape Coral moving services, give Simonik Moving & Storage a call! If you’re ready to schedule your free, no-obligation quote, go ahead and complete our fast online form now.